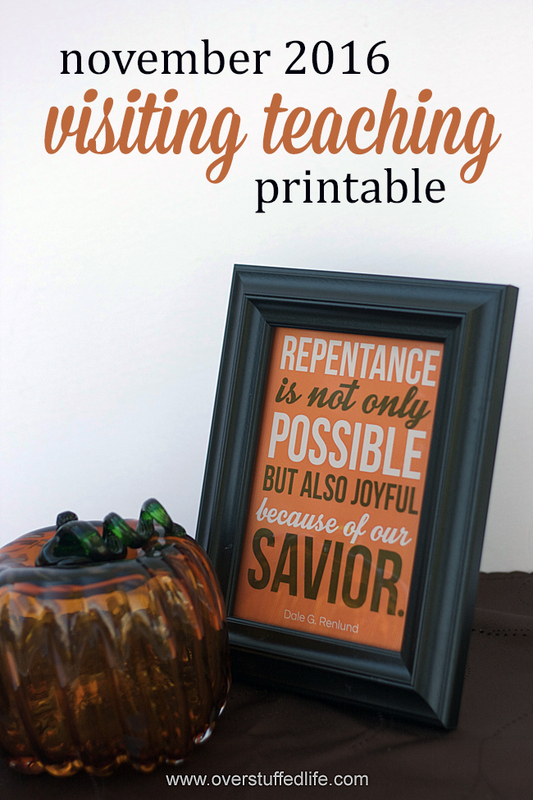 It's November, which means that the month's visiting teaching message comes from October 2016 General Conference. Obviously, it's much harder for me to choose a quote from 38 full talks than it is to choose from a couple paragraphs of the monthly visiting teaching message. 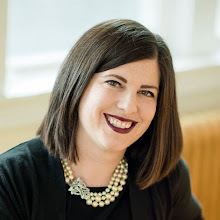 This year, since we are on sabbatical in Utah, we took the opportunity to attend as many conference sessions as we could in person. 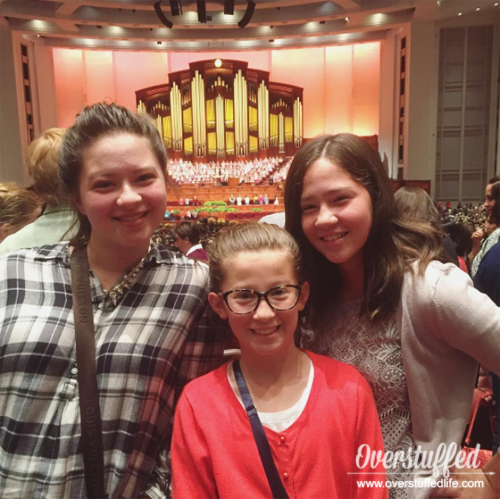 I took my mom and my girls to the Women's Conference, which was a wonderful experience, and then we were also able to attend both Saturday sessions of General Conference. My youngest daughter, Sophia, was so excited to be in the same room as the prophet and the apostles that she said, "Mom! We are breathing the very same air as President Monson!" As usual, I loved conference. I felt the themes that stuck out to me the most were repentance and joy. 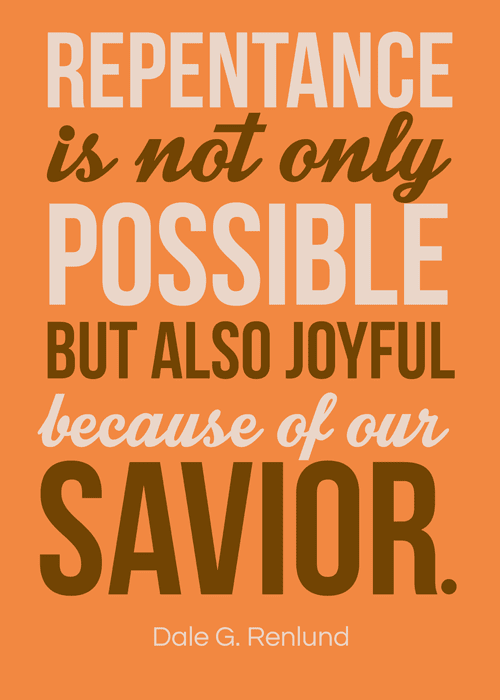 So the quote I chose from Elder Renlund's talk (Repentance: A Joyful Choice) encompassed both of those ideas. 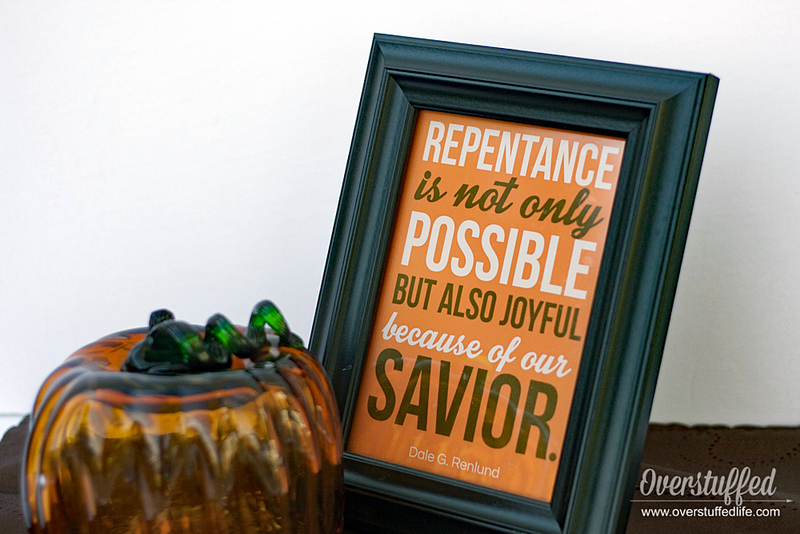 "Repentance is not only possible but also joyful because of our Savior." Enter your email address into the form below and the printable will be sent directly to your email. If you are on a mobile device, click here to see the form. P.S. 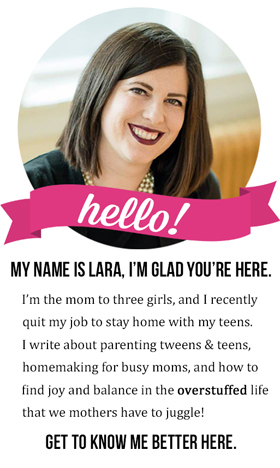 If you would rather have a PDF than a JPG, please email me at lara@overstuffedlife.com and I will send you one.